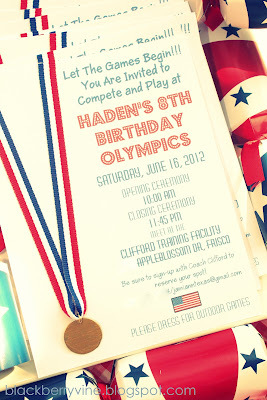 It's that time of year again...I can't believe how quickly the years are passing!!! My little boy will be 8 soon! Since the Summer Olympics are ju﻿st around the corner, we decided to have an OLYMPIC BIRTHDAY PARTY. embellishment added to "cute it up" a bit! 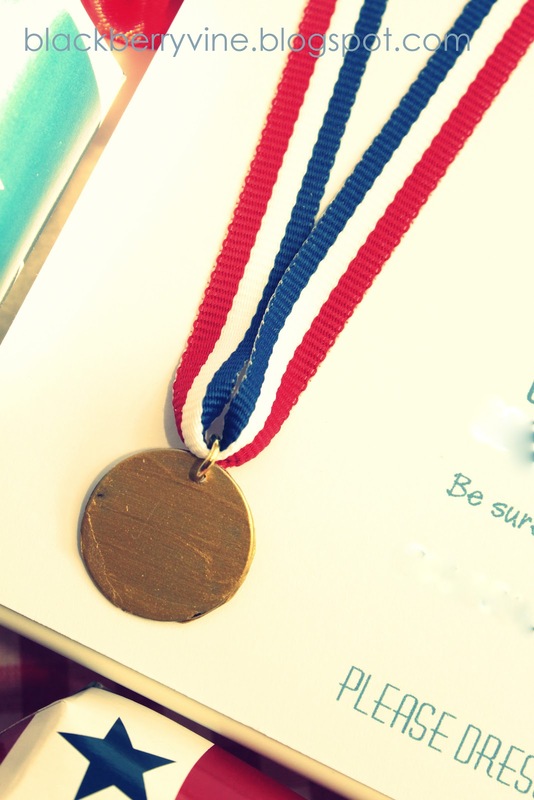 The close up of the "medal" shows you how it was painted with gold paint. I found little metal charms in the jewelry aisle at Hobby Lobby. 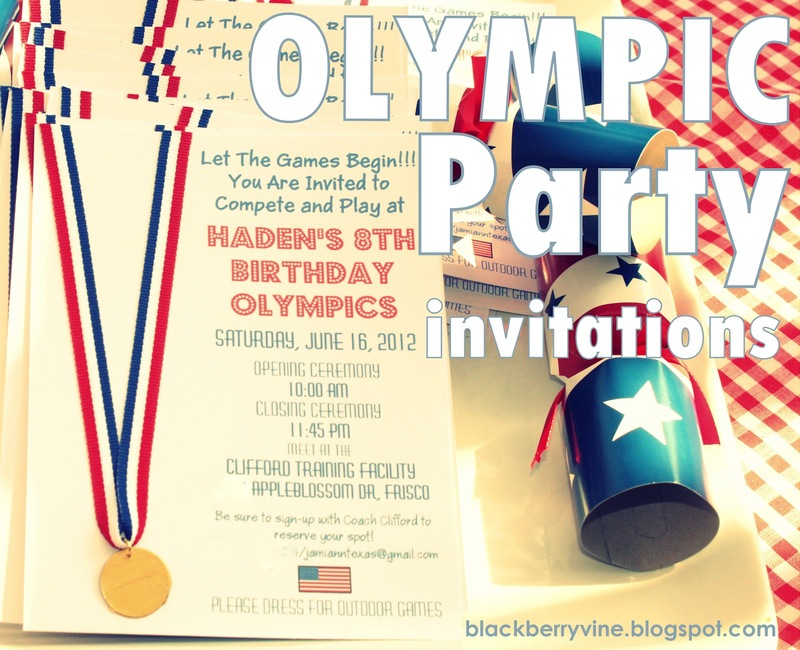 With a little gold paint and a jump ring they are transformed into the perfect Olympic Gold Medals for these invitations. More Olympic Party ideas to follow soon!